The garment and textile sector has set an export target of US$18.5-19 billion in 2013, said Le Tien Truong, Deputy Director General of Vietnam National Textile and Garment Group (Vinatex), at a press briefing recently. Vinatex will follow a strategy of fast growth, high efficiency, and suitable usage of investment capital in 2013, Truong said. The garment and textile sector earned $17.2 billion in revenue from exports last year. Vietnamese made garments are on the list of priorities of many foreign importers, as they are able to compete with developed countries on textiles such as China, Mexico or Bangladesh. For the 2015 development plan, Vision 2020 that was approved by the Prime Minister, the textile industry set forth the goal of an annual growth of 12-14 percent and export growth of 15 percent, Truong added. According to Truong, many businesses have received orders for the entire first quarter of the year. However, the sector will continue facing a lot of difficulties related to consumption markets, source of goods, clients etc. In order to develop the garment and textile industry in a sustainable manner, this year Vinatex will focus investment on building knitting factories and yarn-dyed plants in the north and south, and develop material sources. The US, Japan and the European Union still remain the mainstay markets for the textile sector in 2013. The Republic of Korea is also a new destination which contributed more than US$1 billion to Vinatex’s export turnover last year. 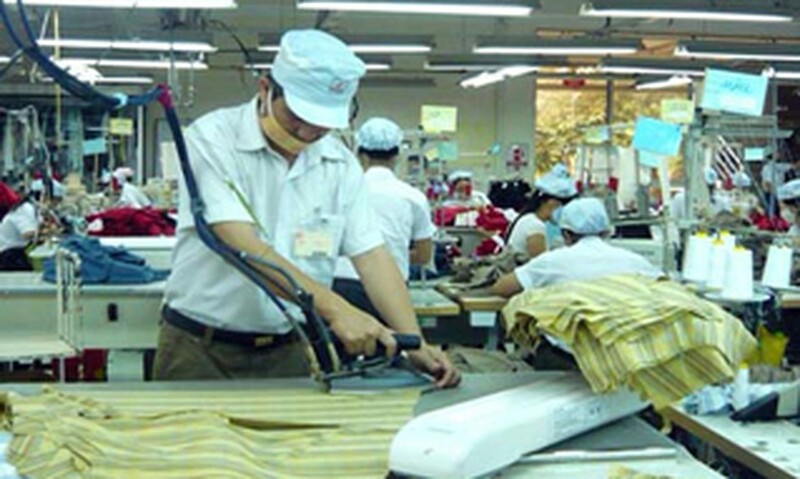 In the last two months of 2012, more than 10 foreign enterprises dealing in fiber, spinning, weaving and dyeing from countries with a developed textile industry, such as Texhong, Sunrise (China), Toray International and Mitsui (Japan), Lenzing (Austria)--came to Vietnam to look for investment opportunities.